What is it like to be a volcanologist? When Lorraine Field stood and watched a bright red fire fountain shooting violently out from the Nyamuragira volcano, in the Democratic Republic of Congo, she said the noise and the heat of the eruption were "like an assault on her senses". To see the eruption she had flown to Rwanda, before driving 180km (111 miles) to the politically unstable DR Congo, and then trekking 8km (five miles) through a hot and humid rainforest. Her life now couldn’t be more different from a decade before, when she was working in a desk-bound job in England. "I used to be contracts manager for a mobile telecoms infrastructure company," she explained. About 10 years ago I started studying geology with the Open University. I was actually made redundant, so I decided that this was an opportunity and went back to university to study full time." What was originally intended to be a career break developed into her dream career. After getting a bachelors degree in geology from Durham University, she recently completed a PhD at Bristol University, aged 47. She now works for the British Geological Survey. 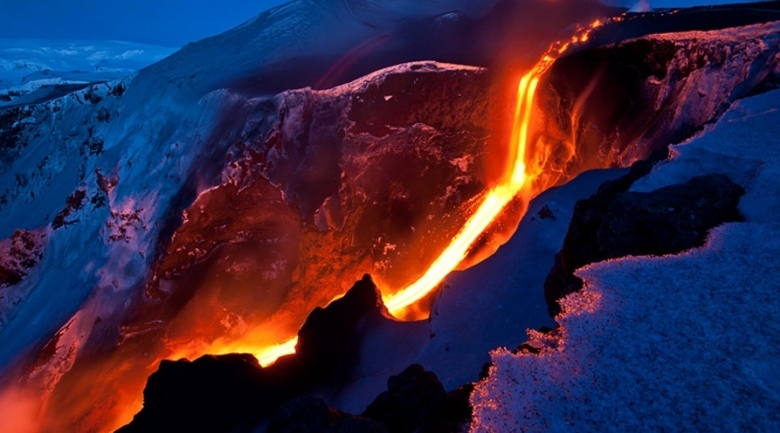 "Studying volcanoes has completely changed my life. I’ve got a better understanding of the Earth that we live on for a start," she said. "I can’t wait to get up in the morning and come in to work now, whereas 10 years ago Monday morning had that Monday morning feeling – I didn’t want to go in to work. "I get excited about everything that I do now – it has completely changed my life." The trip to DR Congo was intended to be a holiday to celebrate finishing her PhD, and typified why she loves being a volcanologist out in the field.